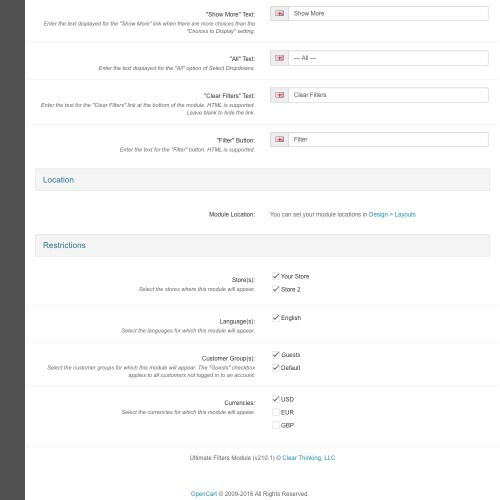 Let your customers filter products by almost any criteria! 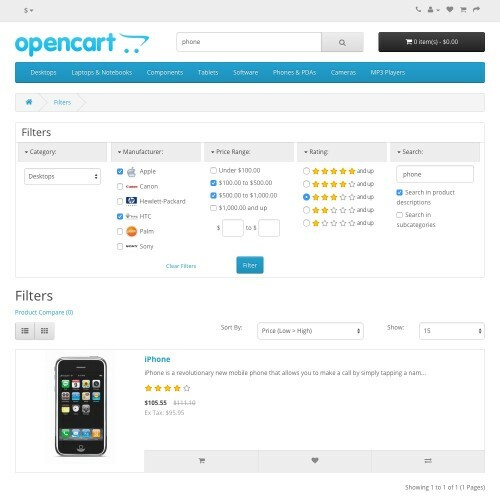 This extension includes the ability to filter based on attributes, categories, manufacturers, OpenCart filters, options, price, rating, search keywords, and stock status. Upload and go — does not require vQmod, ocMod, manual modification to core files, or changes to the database. Compatible with most custom themes without any changes needed. 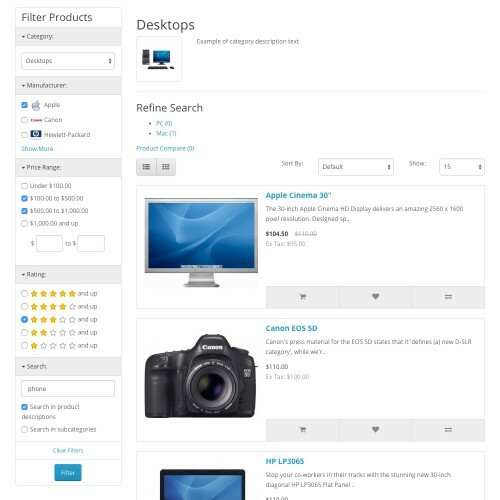 Fully compatible with Smart Search and Extra Product Pages. Works from any product listing page, including categories, manufacturers, search pages, special pages, and all of the Extra Product Pages. 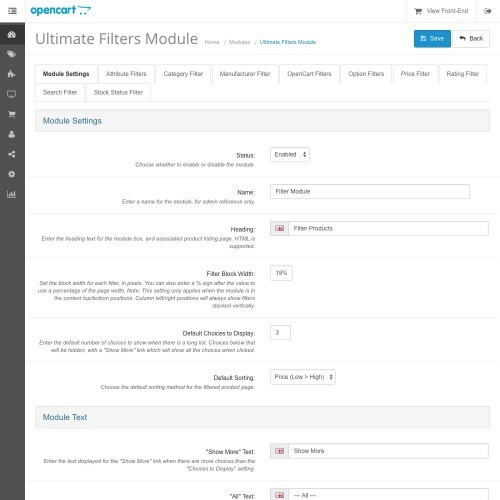 Choose which filters appear in each module, and how each one displays its choices: as checkboxes, radio buttons, or a select dropdown. 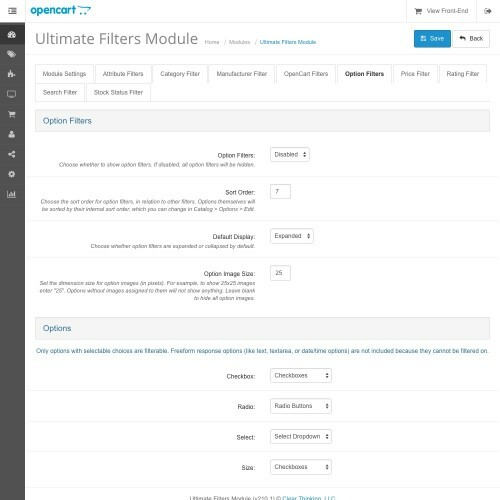 You can also choose whether each filter is expanded or collapsed by default. 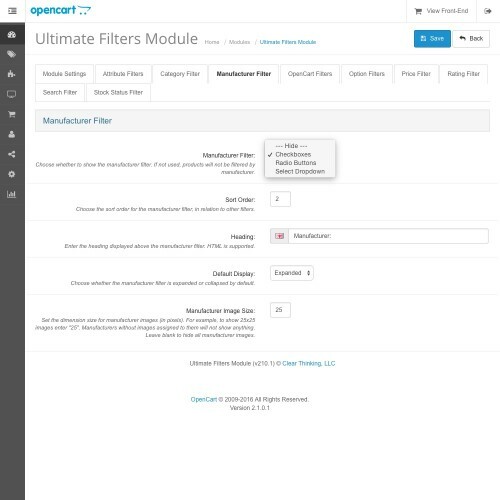 Restrict each module based on store, language, customer group, and currency. Easily duplicate modules and all their associated settings. 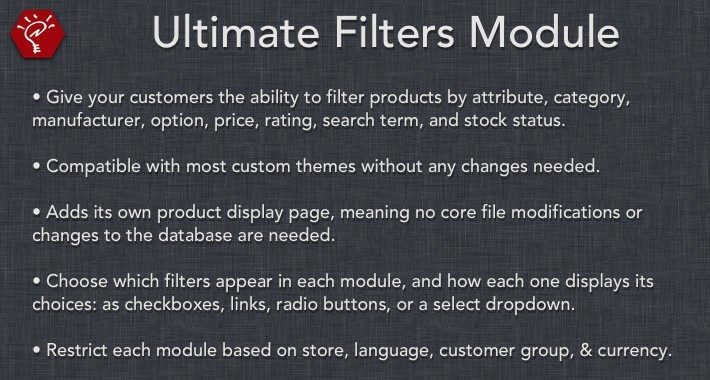 Want to filter on some other type of data? Contact Clear Thinking to see if it's possible to add to the module!